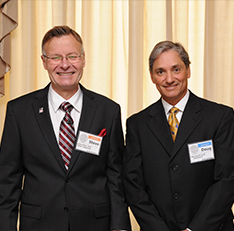 The Chief Executive Officers’ Club provides opportunities for CEOs of businesses, with a minimum of $2 million in annual revenue, to expand their network of CEO contacts and receive information that could prove critical to their organizations. 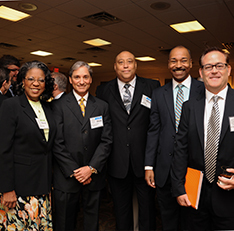 The CEO Club of Baltimore is one of four regional US and four international chapters of a non-profit, educational organization headquartered in Maryland. We serve as a mutual Board of Advisors comprised of CEO Club members. We provide intensive consulting to you and your business, offering the opportunity to present your company’s greatest problems, concerns, and aspirations in a confidential setting. Another benefit that is offered by the CEO Club is called the Presidential Advisory Council or PAC. CEOs act as their own board of advisors. The PAC meets multiple times throughout the year at different PAC Member's offices. 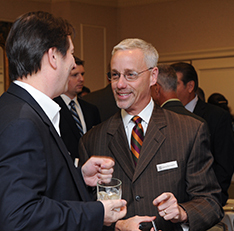 The PAC is designed for the CEOs of the larger companies of the CEO Club. Many members consider the PAC to be the best part of the CEO Club. We’ve had an outstanding response to the concept of CEOs meeting other CEOs, gaining insights from each other and sharing relevant information. Through speakers, panels, roundtables or the one-on-one exchange of ideas between CEOs, we provide our Members, with critical, up-to-date information to help them become more successful leaders and run more profitable organizations. Each month the CEO Club of Baltimore invites a well known speaker to our meetings. Each speaker has something valuable to offer to our members. CEOs working together is the heart of the PAC and this mutual cooperation is a very powerful mechanism for problem solving and idea sharing. There is no better way to keep your organization visible. Sponsorships with the CEO Club of Baltimore keeps you in front of the decision makers.